UK 'worst' for illegal WEEE exports from Europe to developing countries. 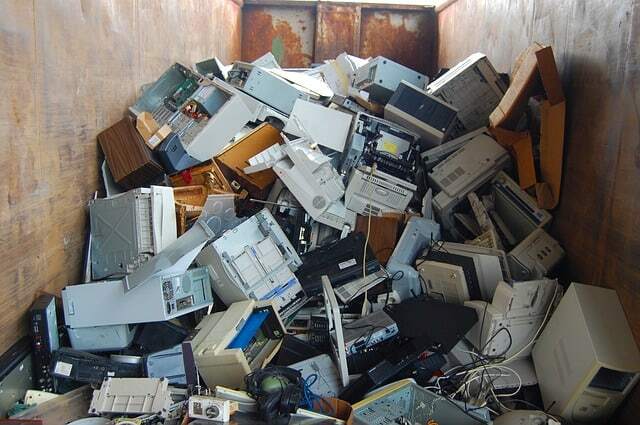 Out of ten nations investigated for illegally exporting waste electrical and electronic equipment (WEEE) from Europe to developing countries, the UK has been named as the worst offender of them all. The Basel Action Network, which conducted the investigation over two years, installed GPS trackers in more than 300 old computers, printers and monitors to see where they ended up. They disposed of them at public collection points in ten European countries and tracked their journeys around the world. It’s safe to say the results documented in their report were shocking, and revealed a stream of illegal shipments of hazardous waste. Current international waste laws allow reusable electrical goods to be exported as they can be sold for reuse. But waste electrical items that can’t be reused are not allowed to be exported to countries beyond the list of members in the Organisation for Economic Co-operation and Development (OECD). Alarmingly, the Basel Action Network (BAN) found that 19, or 6% of the tracked items were exported out of the countries they were left in even though they weren’t suitable for reuse, and more than half of those ended up going to developing countries. Do you know where your WEEE ends up? The report highlights a shocking trend for illegal WEEE exports and has prompted the Environment Agency to remind exporters of their responsibilities. But what can consumers and businesses do to ensure they’re not playing a part? What’s really worrying is that these items were disposed of at legitimate public collection points, some of which were council-run. It makes it more important than ever to be certain that your WEEE items are being disposed of correctly, and receive all the relevant paperwork as proof. At Pure Planet, we audit all our suppliers to ensure they work to best recycling practices, are fully licensed and insured, and recycle everything here in the UK. Not only that, but our own site is watertight. We have CCTV security and we monitor the volumes of waste coming in and out to ensure everything is secure and to prevent theft. To make sure we can provide excellent customer service, we’ve also increased our fleet of vehicles. We know that the longer waste remains on a customer’s site the more open it is to theft and vandalism, so a quick response is key. To offer an added level of service, we give customers the option to have an itemised list of what we’ve recycled, including the serial number. We’re also ISO14001 accredited, which ensures we manage our environmental impact, and we have an Environmental Management System (EMS) in place to ensure best practice on our own premises and on-site with our customers. To make sure it’s always up to date, this is audited internally throughout the year and externally via a UKAS accredited certification body. Last but by no means least, we’re experienced. Over the course of more than a decade in business, we’ve become a trusted name within the industry and our positive customer reviews are testament to the service we provide. Get in touch and let us help you manage your WEEE recycling legally, responsibly and ethically – just click ‘get a quote’ at the top of this page.